“Nothing can dim the light that shines from within,” said Maya Angelou. What is that light? Confidence! The March 2018 Sparkle Hustle Grow box, themed “confidence,” helped our Sparklers make their light shine even brighter. Check it out below! Online Training: The Savvy Experience ($39 value): Founded by Heather Crabtree, business mentor, leader, and and educator, the Savvy Community is an amazing hub and learning center for female entrepreneurs. From training videos to downloads to helpful brainstorming and discussions, our tribe was lucky to receive 30 days of FREE access into the Savvy Community. I mean, who doesn’t love new business education and tools? Girl, Wash Your Face by TheChicSite.com Founder Rachel Hollis ($22.99 value): What we believe (or don’t believe) about ourselves can partly determine how successful we are. 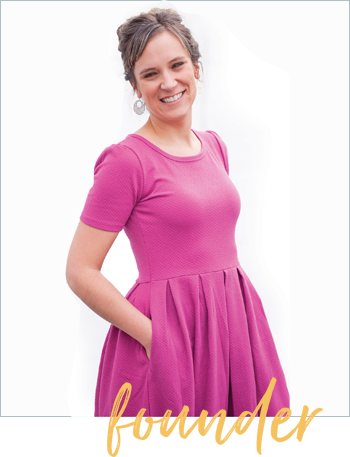 Using sarcasm and wit, Rachel Hollis takes readers on a journey to discovering and breaking free from the lies they believe about themselves. Using raw examples from her self-proclaimed messy life to create relatability, readers learn how to live a life filled with positivity and joy as well as one that is free of fear and doubt. Mini Selfie Ring Light ($8 value): Have you ever taken a photo only to find that it’s either too dark or too bright? We have an answer for that – a selfie ring light that clips on to any cell phone! With multiple luminosity settings AND no need for batteries (it’s USB rechargeable), it’s no wonder this item was a favorite many-a-box ago. We are sure that our #girlbosses will feel even more confident in their photos when the lighting is on point. Maengle The Hair-Tie Bangle ($28 value): Finally, a way to keep hair-ties on your wrist without cutting off your circulation! Not only is a bangle a stylish jewelry piece, but this one is also functional. This bangle is designed in a way to hold hair-ties so that you don’t have to wear them around your wrist. In gold, silver, and rose-gold, we’re pretty confident that subscribers will always have a hair-tie handy (and will say goodbye to those red rings around the wrist!). Woman With A Vision Notepad ($5 value): You can never have too many paper products, right (especially when they’re cute and colorful)? Garnished with pink paper and rainbow foil, this notepad comes with tear away sheets of paper and a message that shouts confidence: “Woman With A Vision.” Sidenote: A vision is simply a vision until you start planning, and our Sparklers now have a place to write down all of their awesome visionary ideas. Art Print by Heart Signed ($9 value): Cute office decor never goes out of style. With confidence building quotes such as “Here’s to strong women. May we know them. May we be them. May we raise them,” our goal is to make sure our subscribers get a confidence boost whenever they look around their home office or workspace. 25 Free Square Prints from Parabo Press ($8 value): One of the best ways to build confidence is to remind yourself of it frequently, and a great way to do that is to print images that remind you how awesome you are and how far you’ve come. Thanks to Parabo Press, subscribers can order 25 confidence-building square prints to display along with their art print noted above! INVIA™ Drink Mix Stick Pack ($4 value): An energized mind and focused mental state allows you to perform tasks better and more efficiently, and that is exactly what INVIA™ drink mix aims to provide. With zero calories (yes, you heard that right – zero! ), this convenient and portable drink mix is perfect for long work or travel days. 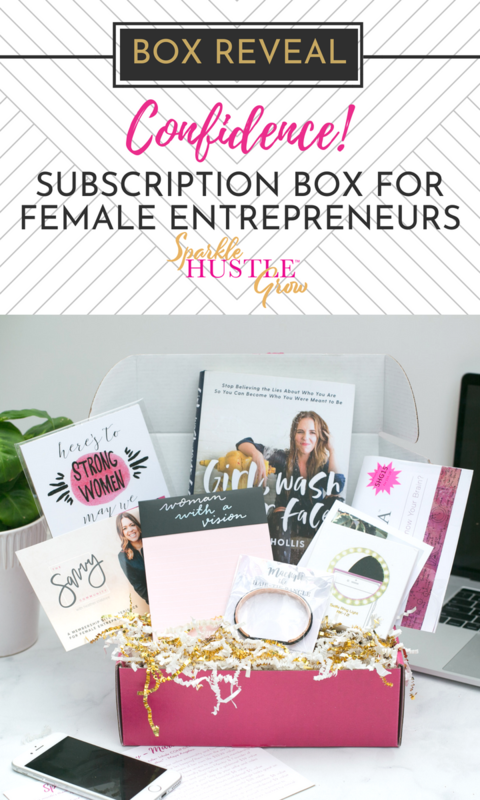 With a box valued at $123.99 for only $39 max the subscription, we are “confident” that our our tribe of innovative, creative, and savvy #girlbosses made a great investment. Ready to join the Sparkle Hustle Grow tribe? Click here to learn more!